[NAIDHEACHD ÙR] Bidh a’ chuirm oidhche Shathairne a-nis air a’ bhàta The Cruz ann an Lìte. 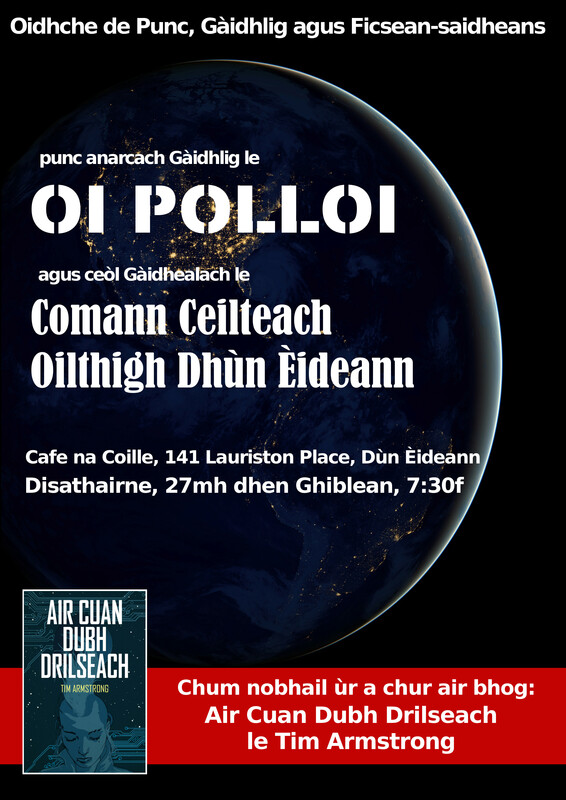 Thèid Air Cuan Dubh Drilseach a chur air bhog ann an stoidhle punc ann an Dùn Èideann aig Cafe na Coille air an 27mh dhen Ghiblean. Bidh na sàr ròcairean, Oi Polloi, an làthair, cuide ri ceòladairean bho Chomann Ceilteach Dùn Èideann. Thigibh ann tràth, oir tha an cafe beag. Tha e a’ dol a bhith às a rian! Caite a bheil Lauriston Place ann an Dùn Èideann? ‘S e Lauriston Place an rathad a tha a’ ruith eadar Cros na Cìse agus Oilthigh Dhùn Èideann, seachad air Sgoil George Heriot agus air an t-seann ospadal. Tha 141 nas fhaisge air taobh Chros na Cìse dheth, dà chearnag air falbh. Moran taing. Bidh Sukie ann ma-ta! 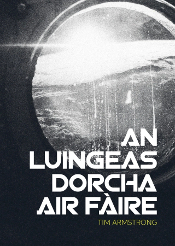 Tha mi a’ gabhail ris gum bi an leabhar ri fhaighinn air an oidhche? Gu cinnteach! Tha sinn an dùil gum bi càrn mòr de leabhraichean gan reic air an oidhche. 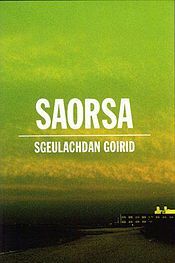 Bidh e math leabhar caran eadar-dhealaichte mar seo a bhith ann. 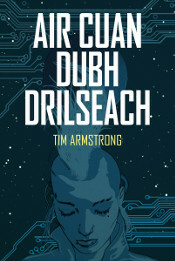 Suas le genres ura ann an ficsean Gaidhlig! Meall d’naidheachd.